A borrowed life on borrowed time. A love so powerful it crosses even death. Jon Stone is a revered psychiatrist, doting husband, loving father. But Jon has many secrets. His colleague, Nathan, is haunted by the one they share. Maddy Stone, Jon’s daughter, has her own secrets. But she can’t tell anyone…. Zara, Maddy’s loving stepsister and best friend, faces a race against time. Can she unearth the family’s dark secrets before a tragic history repeats itself? Two girls: one living and lost, the other scarred and silent, must join forces to prevent the unspeakable… uncovering further atrocities and heart breaking truths along the way. What they discover will make your heart bleed. What they do, will make your soul soar. The windscreen wipers beat as frantically as Tilly Stone’s heart as she threw the Volkswagen Golf ’s steering wheel over to the right and screeched onto the rain-drenched tarmac of the main road. The wet rubber tyres squealed in unison with the cries from her four-year-old daughter, Maddy, strapped tightly into her car seat in the back of the speeding vehicle. Tilly’s eyes left the road momentarily to meet those of her daughter, hauntingly reflected in the rear-view mirror. Dressed in her pale blue pyjamas, her blonde hair statically spiked across the fabric of her seat, tiny Madeline Stone looked back at her mother imploringly. ‘Mummy’s got you, darling. It’s going to be all right now,’ said Tilly, with a forced faint smile, her stomach knotting with the sickening realisation of what she’d just discovered. At that exact moment, further down the same road, a dog ran out in front of an oncoming car, forcing it to change lanes. The sound of a car horn alerted Tilly to the headlights looming closer on the wrong side of the road. Reacting to the onrushing danger, she steered the Volkswagen away from the lights, losing control on the slippery road and sending the car spinning. For Tilly, the next few seconds played out slowly as she helplessly watched the approaching street lamp and wall. The impact of metal on concrete killed her outright. She never had time to tell her daughter she loved her. Tilly’s husband, Jon Stone, was distraught. The fact that the accident occurred so close to their home somehow made it all the more distressing. Sympathy for his loss came in abundance. As a pillar of local society, and a revered consultant psychiatrist specialising in child and adolescent psychiatry, Jon Stone stoically resumed his life and took full responsibility for bringing up his only child, Maddy. Not one person questioned where Tilly had been going at that time of night, with her daughter – and in such a hurry. Maddy Stone stood beside the wall that offered protection to the manicured native garden looking out across the flat Mediterranean Sea. Below her, a trail of steep steps roughly hewn into the hard rock and framed in part by tall Balearic island plants wound down to the old fisherman’s jetty and the tiny strip of beach. This secluded Majorcan inlet, accessible only by water or determined hikers, accommodated a few small dinghies tonight. Maddy’s father, Jon Stone, was hosting an engagement party for her stepsister Zara, to which a number of locals and neighbouring summertime visitors had been invited. In the distance, she could hear the music playing – blues and jazz, Zara’s favourite. But Maddy’s heart ached for the sounds of the sea back down on the jetty, the slapping of the water against the helm of her boat or the dull squeak of the dinghies rubbing against one another. She remained perfectly still, enjoying the view. Above her, a lone gull swooped low across the bay calling out for its mate, as she watched a blood-orange sun finally slipping below the horizon, swallowed again for today by a stretch of endless grey-glass sea. Wrapping her arms around her slim body, Maddy shivered, hastily brushing away the solitary tear that slipped silently down her face. The soft evening breeze caught on a tendril of her blonde hair, and she carelessly twisted and tucked it behind her ear, momentarily forgetting her precious diamond studs: an heirloom from her grand- mother’s estate and given to her on her twenty-first birthday. She could hear the closing murmurs from the evening’s celebrations now, trickling out through the villa’s open doors. She stood between two such different worlds – both of them hers and both about to collide. Throughout her life, Maddy had kept her secrets safe: from the ones she loved and for the ones she loved. Only now, it was almost time to stop pretending, forever. She knew she must be patient for just a little while longer. What she was about to do would hurt those she loved the most, and she wanted Zara to enjoy her special evening. Tomorrow, she’d take back control of her own life, whatever the consequences. On a thin gold chain around her neck hung a gold filigree ring, one of a pair of two entwined dolphins. An inexpensive trinket bought in the Old Town of Ibiza. Rubbing the ring between her fingers, Maddy raised it to her lips, her mouth gently kissing the warm metal. Breathing in slowly and deeply, she willed her racing heart to calm. It would be time soon enough; the party was winding up. Unaware that she was being watched, Maddy turned away from the sea, tucking the necklace and ring safely between her breasts. She walked back towards the lights of the villa. Time to play the perfect daughter, the loving sister. After tomorrow, nothing would ever be the same again, for any of them. Nervous but resolved, Maddy had begun to explain her intentions in a note for Zara, slipping it into her bedside drawer to complete later. She smiled now, with mixed emotions, glancing one more time at the hauntingly beautiful beachcove scene on her bedroom wall. Taking a final look behind her, she quietly slipped out to the garden through the connecting door, closing the door gently. They’d arranged to meet after the party, on the jetty, after everyone had retired for the night. The guests were long gone now and the villa slept soundlessly. Torch in hand, Maddy crossed the coarse goose grass, avoiding the sprinklers, on towards the steep footpath leading down to the beach. The strategically placed lights on the sloping garden bank highlighted enough of the treacherous undulating levels and the crudely formed steps. As she neared the bottom of the pathway, she recognised the familiar smell of his aftershave, now mingling with that of the pines and sea. Her heart missed a beat. There was no going back. ‘When will you come back?’ the young girl asked. ‘When it is my time’ he replied. The old man looked down into the face of the child and smiled. ‘Look not for me with your eyes, but with your soul. 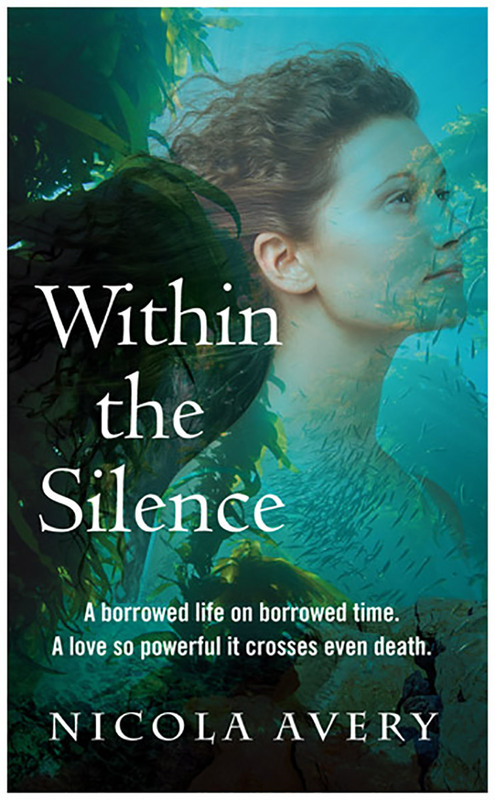 In her multi-dimensional novel, Whispered Memories, Nicola portrays the journey of a betrayed woman, struggling to bring up her daughter alone, interwoven with the thread of a past life that reveals unresolved issues and repeating patterns that continue to influence her. As a single parent, Nicola understands the choices presented to women who choose, or are forced to ‘go it alone’ in today’s world. Whispered Memories was written to explore the fascinating concept of reincarnation, past lives and the ‘theory of ‘entanglement’; once connected always connected and highlights the power of understanding, forgiveness and love. 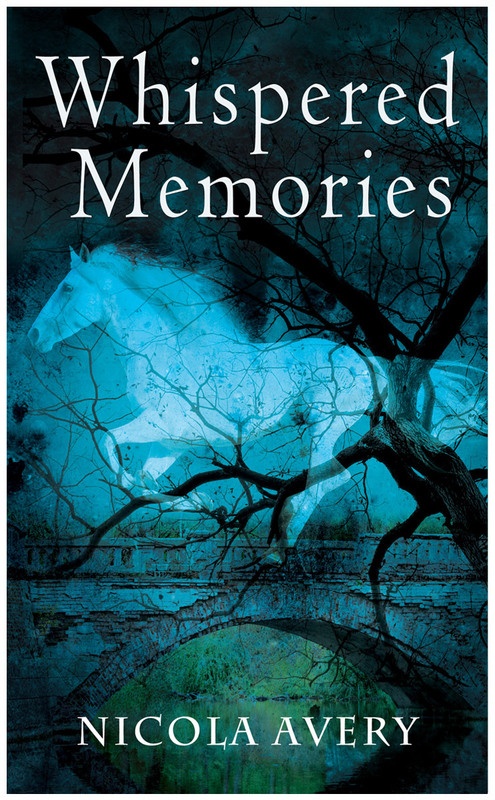 A multi-dimensional love story, Whispered Memories is at once heartbreakingly sad, tender and warm. It is a debut that is as memorable as it is thought-provoking. Emma and Joshua both have dark secrets, which threaten to alter the course of both their lives forever. For the last three years, sleep has become an increasing source of terror for Emma Hart, with nightmares that have turned into chilling visions. Her newly married ex-husband, Joshua, wants custody of their three-year old daughter, Amelia, and will seemingly stop at nothing to get it. What is it that Joshua hides? What shapes his behaviour, turning a loving husband into a cruel opponent? Emma knows she needs to unlock her unconscious quickly, before the visions take over and she loses both her daughter and her mind. But how does she do that, and when the truth finally surfaces, for both of them, will they be prepared for what they might find? She woke on the bedroom floor, the twisted sheets wrapped around her legs and ankles, her whole body trembling. Looking at the jumble of bed linen, she tried to make sense of what had happened, but as usual, any recollection was blocked on her awakening. It normally took some minutes for the shaking to stop. She opened her mouth, but no sound followed and any screaming was done silently. Voluntary movements of her limbs also took time to return. It was always like this — as if she’d returned from some dark place. There would be a feeling of great despair and loss, but hard as she tried, she could never remember any details. Only the state of her body and bed linen bore witness to anything out of the ordinary. Emma Hart had experienced another one of her night terrors. They came more frequently nowadays, having started shortly after her three-year-old daughter Amelia was born. She had told no one about the violent dreams that played out in her unconscious on some nights. There was little point, as she never remembered anything about them, besides a sense of fear and dread, and without any details, there could be no interpretation or explanation. The dreams, like many other factors in her life, were best kept to herself. Extracting herself from the debris of linen, she tiptoed to the bathroom and ran the cold water, plunging her hands and wrists into the basin to stop the shaking. With a pounding heart she listened out for Amelia. There was no sound; the cottage remained silent, oblivious to her ordeal. She crept into her daughter’s bedroom to check on her. Amelia lay peacefully on her side, her cheeks a sleep-flushed pink. Looking down at the small shape tucked under the covers, Emma felt the powerful wave of maternal love dissolve any remnants of her night fears. She quietly climbed into the bed and wrapped her slim body around that of her daughter, listening to her every breath and taking comfort from the rhythmic beating of her heart. They lay there together, safe in each other’s arms, until the day broke. ‘Now what do you want for breakfast?’ Emma asked. ‘We want runny eggs and soldiers,’ Amelia replied, leaping out of bed and landing on the bedroom floor on all fours. ‘We’re hungry. What a pair we are, thought Emma, looking down at her sleep-energised daughter. I’m fighting with unknown terrors in my bed, and my daughter orders food for an imaginary friend. Emma closed her eyes, enjoying the sensation of the warm water supporting her body until a sudden sense of fear swept through her. Instinctively, she again looked across to the toddler pool for Amelia and Gabby. Reassured by their smiles and laughter, she lowered her shoulders back under the water and began to swim. But with each stroke her sense of unease continued to grow, and looking around she realised that the pool and the surrounding area had disappeared and a mass of dark water now stretched endlessly around her. It was as if she had been transported into a wide expanse of ocean. The flat surface had turned choppy and the distant noise of gentle splashing and laughter had been replaced by a haunting sobbing. The water tasted salty and she smelled the acrid odour of burning oil. As she looked around in confusion, a white face with an open mouth appeared to rise up from the depths. Emma watched in horror as a clawed hand, black and scorched, broke through the dark surface before sinking back below. Unable to move, she found herself slipping under, the shrill blast of a whistle filling her head as she sank lower. Opening her eyes, she watched helplessly as bodies with blank faces and flowing hair drifted past her. A vice-like pain clawed at her chest and her head felt as if it would explode from the lack of air. Her lungs folded under the pressure. She opened her mouth in a silent scream, then, drawing in the water with a gasp, she surrendered to the inevitable. Emma saw a light through the blanket of grey that surrounded her. It shone like a beacon drawing her into its brightness. She felt it enter her very being, and with it came a sense of peace. Waves of an emotion so divinely beautiful washed over her as she felt herself dissolve into the light.